Who are The French Wine People? The French Wine People was launched in 1979 when Frenchman Jean-Claude Schmitt returned to England with his Derbyshire born wife Suzanne. The French Wine People are traditional wine merchants with customers throughout Great Britain and Europe. The French Wine People are wine importers, wine wholesalers, restaurant wine suppliers and retailers. Over the past twenty years, we have built up a good reputation for sourcing fine French wines from small Chateaux and vineyards, where we personally know the growers. Many are award-winning wines which are only available in the UK through us. Through group buying, we also supply some of the smaller, boutique orientated brands, at competitive prices, or wines with “ personality “ from most countries in the world. Cristal Champagne from Louis Roederer in Reims or the full range from Cloudy Bay wines from New Zealand are just two examples. 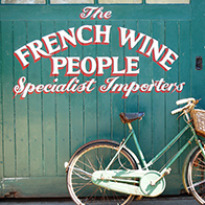 The French Wine People - independent wine merchants in Matlock, Derbyshire. Our showroom is in a Victorian courtyard with extensive cellars, storage and parking. Periodically throughout the year, we organise Wine Tastings in our Derbyshire wine shop or in local hotels with growers and winemakers (ask to be put on our mailing list for invitations). As a leading Derbyshire wine merchant, we can organise group tastings either at your home or at your business premises. We also provide a Nationwide delivery service of fine wines or wine gifts such as 40th birthday wine gifts, 50th birthday wine gifts or 60th birthday wine are rare and ideal special birthdays presents. 50-year-old brandies and sometimes even 60-year-old brandies are all imported directly from the Cognac cellars. Unfortunately, there is currently no wheelchair access, but we are happy to assist you where possible.